ARE YOU WINTER READY PREPARED? We are heading into colder weather which means the chance of ice storms for us in the DFW area and snow storms for our readers in other states. Winter storms can cause power outages or for roads to be closed due to the weather, have do done anything to get you prepared? Have you thought I’ll get ready tomorrow? Today is YOUR tomorrow! Get ready today and save yourself some headaches later! Maybe you aren’t even sure where to begin or what to do to “Be Ready.” First you need to decide what type of emergency you need to prepare for: hurricane/evacuation, earthquake, snowstorm/ice-storm, windstorm/power outages. 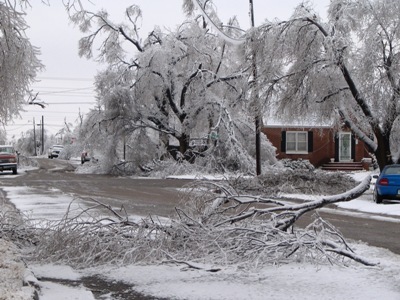 Ice storms, windstorms and power outages are the most common in the DFW area. We have had ice storms that have closed schools for a week. Because we don't have the equipment necessary to make our roads safe many people were stuck at home during that time. The stores don't sell ice melt salt and snow shovels are hard to come by as well. Will you be traveling this winter or most likely at home? Do you have small children or pets to be concerned about? Do you have anyone on special medication that requires electricity or refrigeration? How will you provide the electricity or refrigeration? solar power or back-up generator? Does your neighbor have an alternate heat or power source you can use? If you were without power for 24 hours, could you “survive” with temps in the 40’s (or lower)? What about 48 hours or more? Do you own a can opener that DOES NOT require electricity? 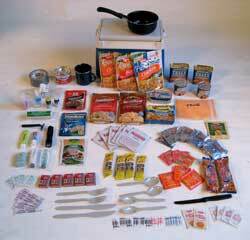 Do you know how to make a simple cook stove from things around your house? Does your gas grill have gas? Does your charcoal grill have charcoal and lighter fluid? The first thing I would do is take a quick stock of what you DO HAVE and make a shopping list from there. There are 24 hr. kits, First Aid Kits, Mini Car Kits, and 72 hr. kits. I found tons on the web and will share some of my favorites that I found and pinned onto pinterest. 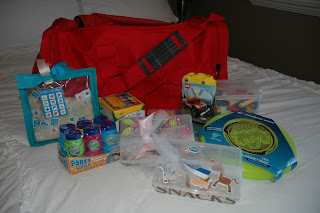 ACTIVITY KIT to keep the kids occupied in an emergency! I really like this 10 day survival pack for the car since it is all contained in a hard cased cooler and will fit into most small car trunks with a few blankets or a tent! The list of supplies in this emergency kit are very doable if you add a couple of things to your grocery list a week or keep an eye out for sales and coupons. 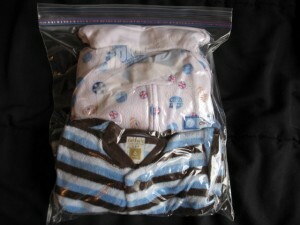 You can substitute similar items from his list and still have a very usable kit in the car. Many more miscellaneous Emergency Ideas like emergency stretcher, pocket-sized survival kit, free printable lists, emergency binder ideas and other first aid kit ideas are all on Something 2 Offer's Pinterest board Emergency Preparedness and on our Pinterest Board DFW FOOD STORAGE! Thanks for the Tip's Something 2 Offer!